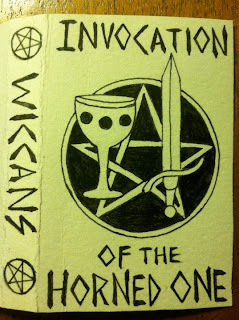 OH HEAR YE, WE JUST RELEASED A TAPE FOR ONE OF OUR FAVORITE GROOPS, DETROIT'S OWN WICCANS, ENTITLED "INVOCATION OF THE HORNED ONE." 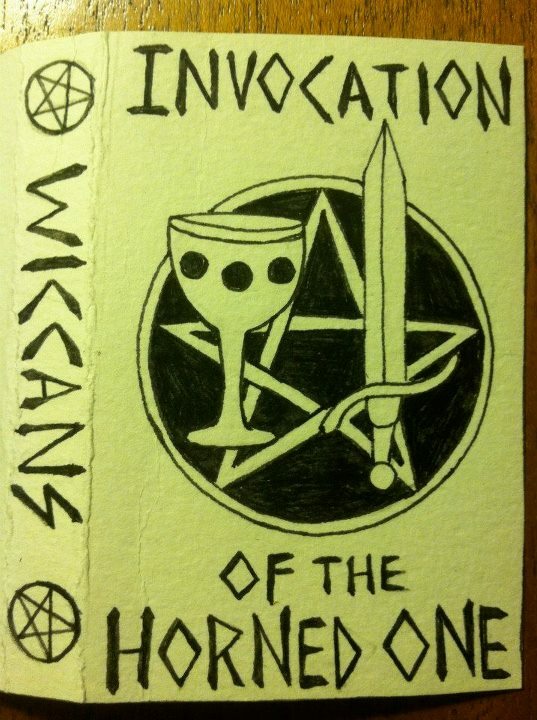 THIS IS THEIR DEBUT RELEASE AND FEATURES SUCH MODERN CLASSICKS AS "OH HOLY MAIDEN" AND "MOON DOOR." WE HAD A TAPE RELEASE SHOW LAST NIGHT AT ENCORE, REPORTED UPON HERE.